A Sweet Rubber Ducky Cake for a Brand New Baby Boy! I Hope Anyone Who Has Seen LOST Will Appreciate This Cake. It was for a LOST Themed Birthday Party. A Bunch of Roses for a 25th Birthday! This Cake Was a Collaboration for a Friend's Niece. 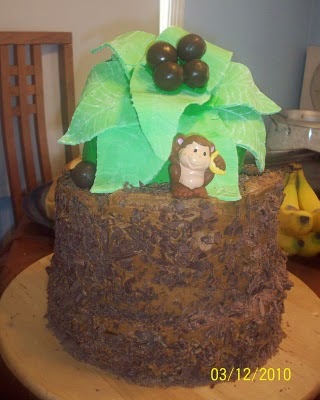 It's a Topsy Turvey Cake Made to look like a Palm Tree. This is The Cake that started it all - a Lemon Cake With Lemon Icing, and Fondant Decorations. These Beauties Were For a "Ready To Pop!" Baby Shower. Gingerbread Cupcakes All Ready for Santa's Arrival. Custom Cake Toppers for a "Little Man" Baby Shower. Brown Butter Cupcakes with Chocolate Cream Cheese Frosting. Vanilla Cream Cupcakes with Cream Filling. Raspberry Cupcakes With Raspberry Cream Cheese Frosting. Don't Let This Thing Fool You - It Packs a TON of Flavor! Swiss Chocolate Cupcakes with Peanut Butter Frosting. These Are Always a Huge Hit. Coconut Macaroons. My Best Friend's favorite. A Black and White Wedding Cake, Covered in Fondant with Hot Pink Gum Paste Flowers . Two Tiered Wedding Cake Covered in Fondant with Quilt Pattern, and Edible Drageets, and Fresh Roses. This Guy Was for a Friend's Son's Birthday. He wanted a Venom Cake - I Started Out with a Spider Man Blue Buttercream, and added Red Sugar Crystals to Set it Off. I Topped it with Black to Look Like Venom Taking Over Spider Man. This Was for My 25th Birthday Party. It was James Bond - Casino Royale Themed. This cake was perfect! I Love the Olive in the Martini Glass! I Made This for a Dinner with Friends. It a Purple Buttercream with a White Swirl and Bead Border. This Sweet Little Princess Castle was made for my Boss' 40th Birthday. He Loved It! This is One of My All Time Favorite Cakes. 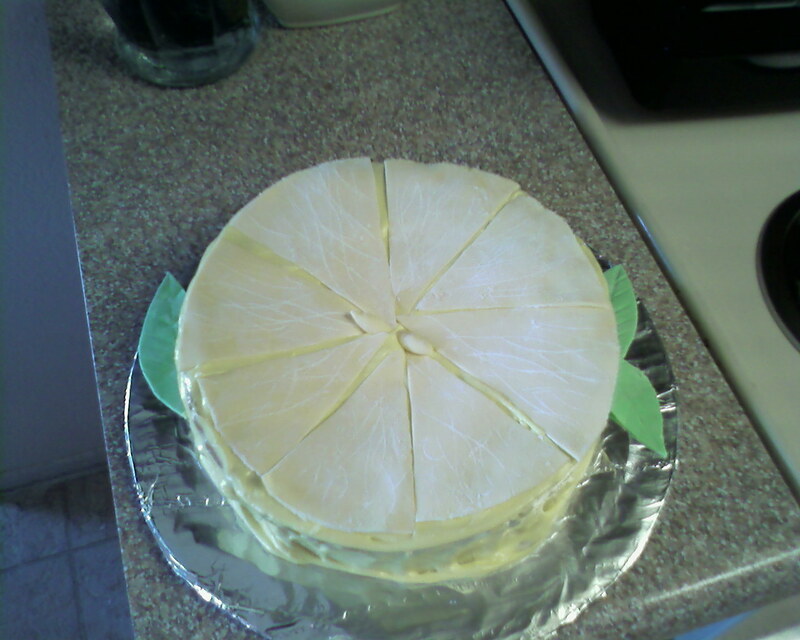 It was for a Bridal Shower, and It's a Marble Cake With a Vanilla Buttercream, and Royal Icing Butterflies. This was such a fun cake to make! Chocolate Cake with Raspberry Filling and a Whipped Vanilla Buttercream Frosting. The Pigs and Angry Birds are CakePops, and the Game Pieces were made from Homemade Vanilla Fondant and Homemade Chocolate Fondant. The Tub Cake was for a sweet little girl's Spa Birthday Party. All of the fondant Pieces were hand made by me. It was a Strawberry Cake with an American Buttercream. This Cake and Cupcake Set was for a Baby Shower. I did a Scratch Blue Velvet Cake with an American Buttercream Frosting, and Fondant Details. It was so much fun making the sweet little Bundle of Joy on top! These guys were for a very special 4yr olds Birthday Party being held at a local Airport! He got the Giant Cupcake, and his friends got ones topped with handmade Clouds and Airplanes. They are my Vanilla Cream Cupcakes with a Cream Filling, and a Buttercream Frosting. This pretty thing was made for a Fabulous little 12yr old's Birthday. It's a French Vanilla Cake with a Vanilla Buttercream Frosting, and Fondant Details. The Eiffel Tower was hand piped with Pearl Dragees.